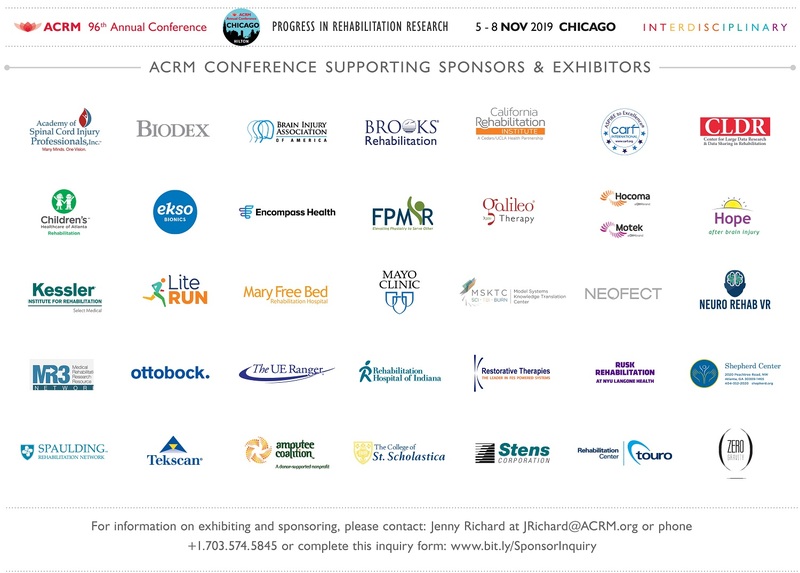 The ACRM Military and Veterans Affairs Networking Group is proud to sponsor a wide variety of symposia at this year’s annual conference, including a NONSTOP track co-sponsored by the Brain Injury Interdisciplinary Special Interest Group (BI-ISIG). 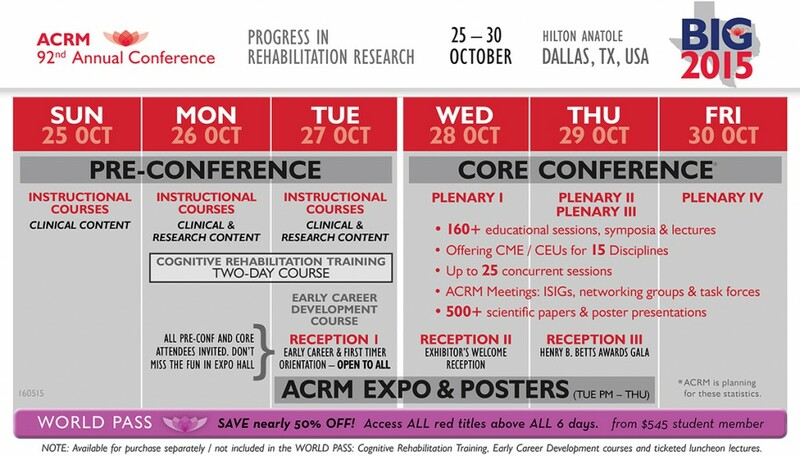 That’s 3+ days of educational content relevant to military and VA rehabilitation. 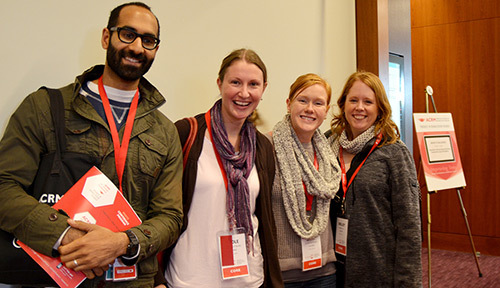 Intensive pre-conference instructional courses let you dive deep into topics of interest and earn continuing education credit. The following session will be of particular interest to attendees working with military and VA populations. Separate registration required. See the CONFERENCE APP for full descriptions of all instructional courses offered. 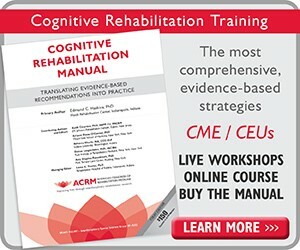 Based on the ACRM Cognitive Rehabilitation Manual: Translating Evidence-Based Recommendations into Practice, this introductory course teaches step-by-step procedures for all evidence-based interventions for cognitive impairments. Manual included ($150 value). For specific MILITARY/VA programming and gobs of details (including faculty names, session descriptions and schedules) see the CONFERENCE APP. 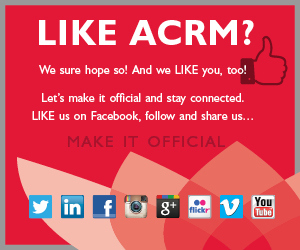 Join the Military / VA Networking Group Meeting to find your place within ACRM. 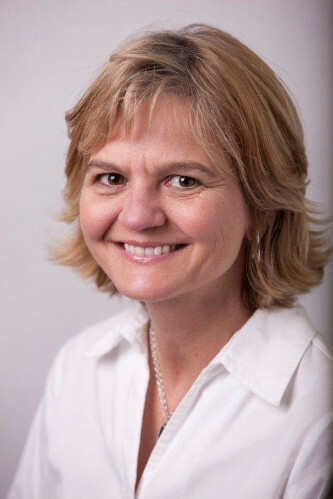 Hear about their task forces and projects and ways to get involved. It’s also a great opportunity to network with key visionaries and experts in military/VA rehabilitation. Open to all. 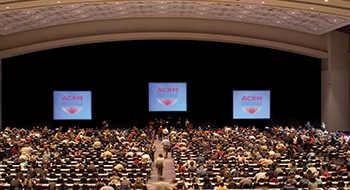 See the schedule of all ACRM ISIG, networking group and task force meetings. 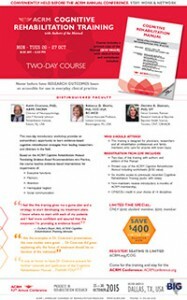 The purpose of this symposium, co-sponsored by the ACRM Military and Veteran Networking Group and the BI-ISIG Long-Term Issues Task Force, is to highlight three studies examining the health care utilization of Veterans post-history of injury. Veteran and Military samples will be drawn from VHA and private sector data sources. Implications for chronic management of Veterans and Service Members with TBI and will be discussed. Traumatic brain injuries (TBIs) are common among members of the Armed Forces serving in recent conflicts. TBIs frequently result in consequences that affect community reintegration (CR). This symposium includes three presentations that discuss CR outcomes in Veterans and service members with TBI. 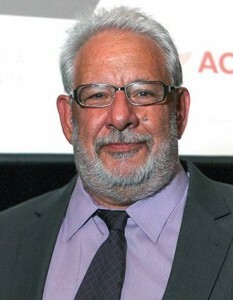 (1.) 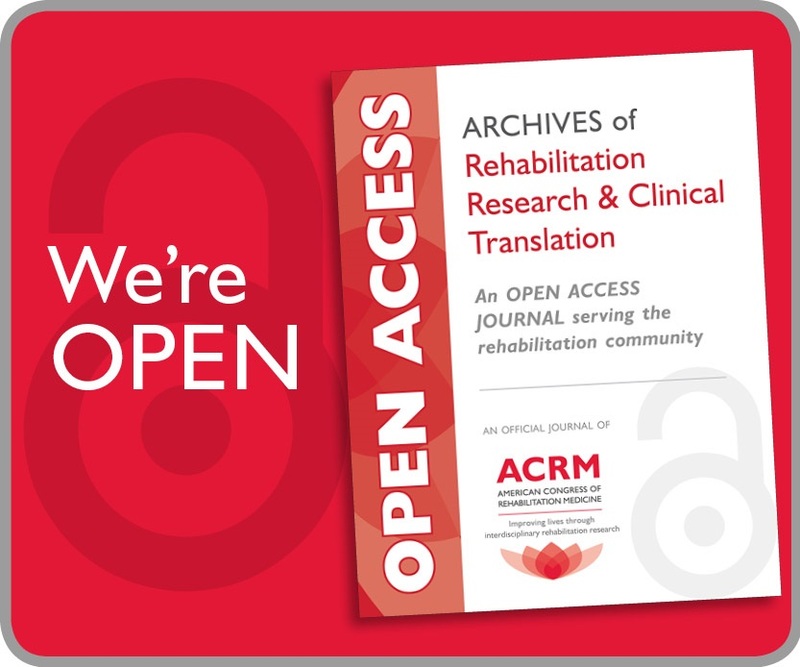 Relationships among injury characteristics, demographic variables, physical functioning, pre- and post-injury mental health functioning, and social participation in Veterans and service members with head injuries: A VA TBIMS Study (2.) 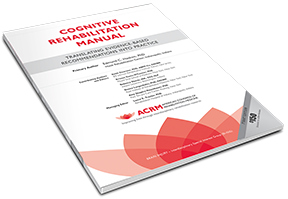 Return to Competitive Employment within 2 Years Post-Injury: A VA TBIMS Study (3.) Employment among Veterans with co-morbid SCI and TBI: Incidence and Implications for Clinical Practice. Concussed Service Members often demonstrate physical and psychological conditions that interfere with peak performance of warrior tasks. Subtle symptoms associated with mTBI can compromise rapid, safe return-to-duty, but are difficult to assess. In this presentation, we will summarize the validation findings to date for the Assessment of Military Multitasking Performance, a performance-based assessment comprised of dual tasks and multitasks to help inform duty-readiness decisions for Service members after concussion/mTBI. Implications of these research findings on test development for civilian practice will be outlined. Not too late to participate in Dallas! 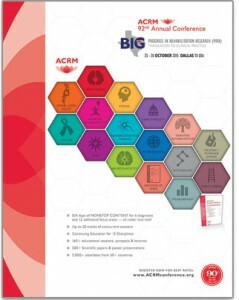 ACRM is seeking proposals for scientific poster presentations of your LATE-BREAKING RESEARCH. See submission guidelines and submit your abstract by 14 August. 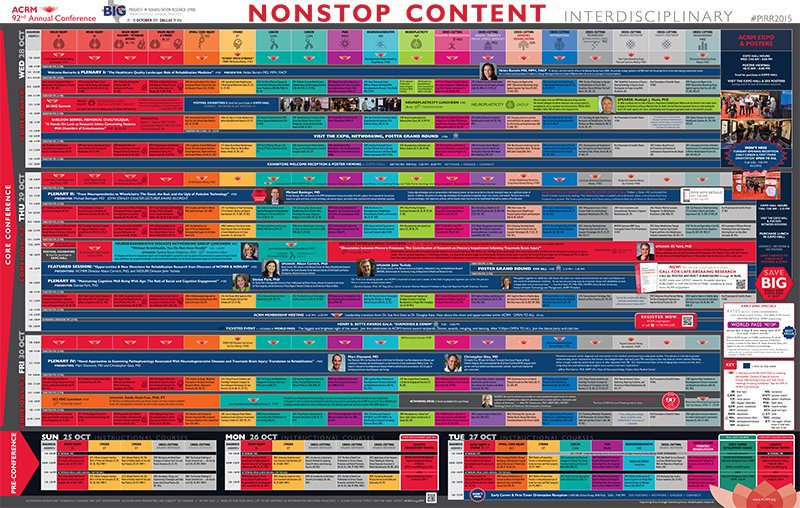 *Although significant changes are not anticipated, all schedules, sessions, and presenters posted on this website are preliminary and subject to change.